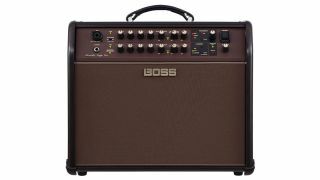 Anyone investing in an acoustic guitar amp would be well-advised to check out Boss’s Acoustic Singer Pro, which is subject to an almighty discount in the run-up to Black Friday. $499 will bag you one of these feature-rammed combos over at Musician’s Friend - saving you a cool $200 in the process. The 120W Acoustic Singer Pro is designed for guitarists and vocalists, and features two channels and anti-feedback controls, plus vocal harmonies, looping, chorus and reverb effects. In fact, it’s hard to fault, leading us to dub it “one of the best-sounding, fully-featured acoustic amplifiers on the market right now” - and that’s especially true at this low, low price.